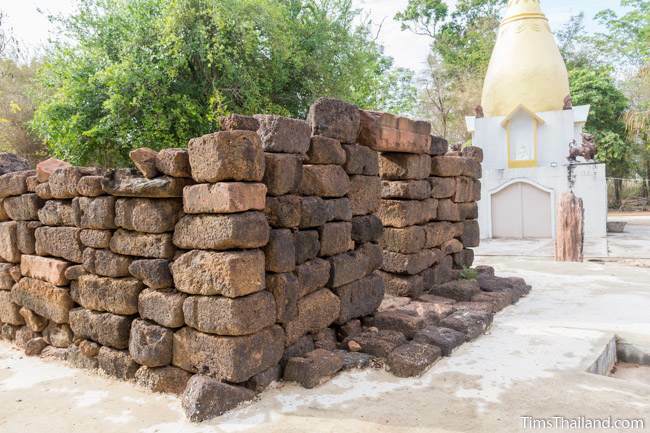 No original structures from Ku Ban Nong Ranya (กู่บ้านหนองร้านหญ้า) remain, but in 2017 locals took the old blocks (mostly laterite, but a few sandstone) that had been scattered around the area and stacked them up into four short walls on a concrete base. 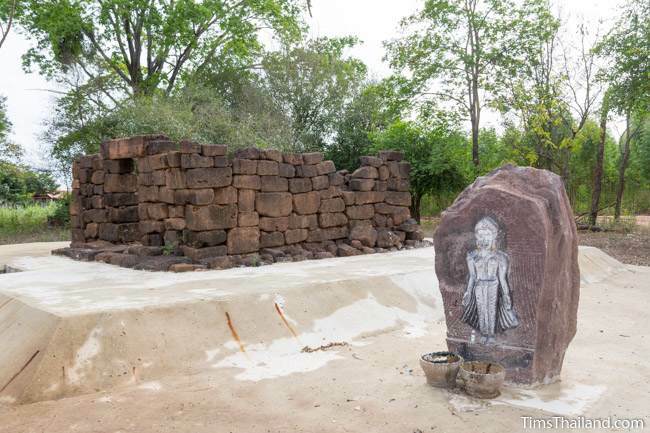 It's not a restoration, but it was done in spirit of a Khmer sanctuary. 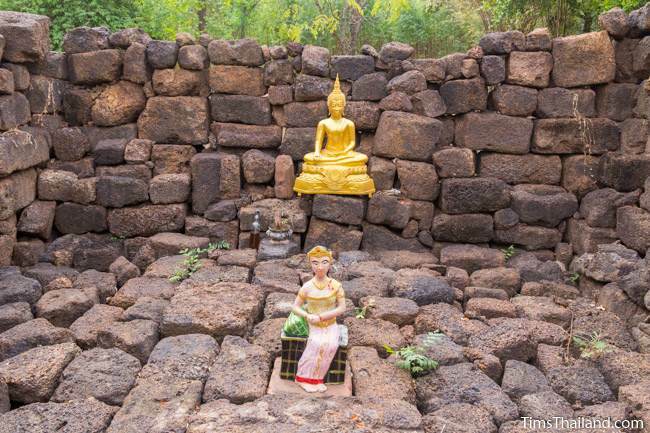 The interior of this shrine holds a Buddha image and a local goddess (Mae Yai Pimpa) on a rough laterite floor. A few other unused blocks remain in the dirt around it. No inscription or significant carvings were found (just an unfinished pedestal and a grinding stone; both very damaged), so no history of the site is known. Locals said that some thieves dug for artifacts before the Fine Arts Department came to research, but they didn't find anything. So, it's possible the temple was never finished, or artifacts were stolen at an earlier time. The ruin is in the northern section of Wat Sri Prayun Phom, which is located behind the much larger Wat Burana Sit. The temple's main section has one of Thailand's strangest stupas. 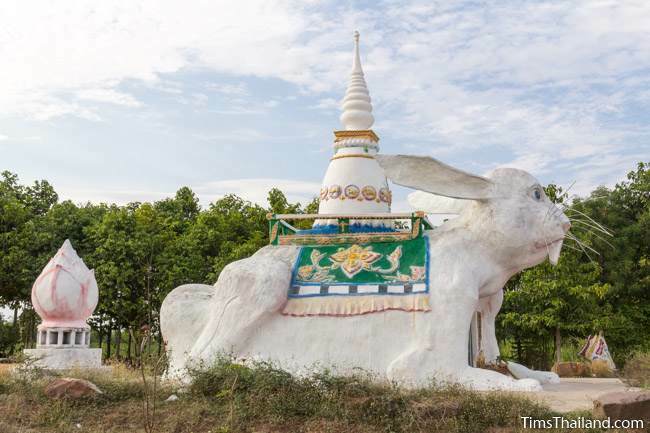 This rabbit-shaped stupa is dedicated to the late abbot Kruba Thammarat Kanatwero (Luang Pu Tham Noi) who was born in the year of the rabbit. Construction was completed in 2015. The dirt road leading to Ku Ban Nong Ranya is not too good. We visited shortly after a rain and needed to park and walk the final kilometer.